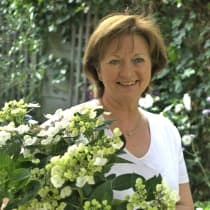 Jenny Blanc is an award winning, international interior design practice with lifestyle showrooms in Teddington, West London and St. James, Barbados. Their two showrooms are a portal to the Jenny Blanc brand of luxury design, where visitors come to be inspired by unique furniture and home accessories sourced from around the world, including own-branded collection of furniture and lifestyle accessories. Both showrooms offer professional Interior Design advice and assistance – from choosing the right fabric and wallpaper to ordering bespoke curtains, blinds or cushions. Our outstanding design showroom is a haven stocked with irresistible items with which to decorate your home. Constantly on the look-out for new and exquisite products from small independent suppliers and artisans worldwide, each piece is carefully selected for style and quality. As well as beautiful and unique furnishings and accessories, Jenny Blanc is the perfect place to shop for that special gift!